A big thanks to this year’s lineup of presenters, which include NBA Commissioner Adam Silver, Miami Dolphins’ owner Stephen Ross, NASCAR’s Steve Phelps, NBC Sports’ Paul Burmeister, LSC Communications’ Tim Quinlan, NHL Network’s Michelle McMahon, Monumental Sports Network’s Zach Leonsis, ViewLift’s Rick Allen, NBC Sports Radio’s Seth Everett, Walk Swiftly Productions’ Bonnie Bernstein, and CBS Sports Radio’s Damon Amendolara. B2B Program: It’s a win-win situation for these initiatives, which drive dollars for both parties. NBCUniversal’s Content Distribution group developed an enterprise-level resource website to support unprecedented coverage of the 2016 Rio Olympic Games, adhering to the International Olympic Committee’s usage guidelines and providing MVPD clients with one destination to meet their Olympic marketing needs. Best Podcast Series: Which podcast series, primarily dedicated to sports, set the world ablaze? These shows took on this red hot genre and elevated the industry. An authoritative voice on all things NBA, Adrian Wojnarowski (Woj) delivers access inside the league with exclusive conversations with sports newsmakers, powerhouse personalities, journalists and experts. The only show currently on ESPN Radio hosted and produced entirely by women, The Trifecta discusses everything from women’s rights, sexual assault and domestic violence to the best athletes around the world. Brand Activation at Live Events: Whose brand marketing became an event within the event? This category recognizing brand marketing excellence and innovation that occurred during a live sporting event. LeadDog amplified Audi’s sponsorship of MLS and the International Champions Cup with the launch of the Audi Player Index, a new form of soccer intelligence that allows fans to follow, celebrate and view MLS games in a way they never have before. Smithsonian Channel and MLB teamed to tell the stories of Babe Ruth, Hank Aaron, Lou Gehrig and Ted Williams – four players who transcended the National Pastime and left legacies as true American icons. Documentary Special/TV Movie: Recognizing the quality of a special or TV movie produced specifically about an event that took place in the world of sports. Spike TV takes a look a combat sports fighter in this one-hour original documentary, featuring rarely before-seen-footage and interviews. From feared street fighter to globally renowned MMA sensation, he became one of the sport’s first mainstream and crossover stars. Live Coverage of Sporting Event (National): The big game! The award honors a live, single broadcast of a game or match by a National network or station. The task was to provide unprecedented coverage of golf’s original championship, The Open, from the first tee shot to the final putt. Led by NBC Sports’ 30-time Emmy Award-winning producer, Tommy Roy, NBC Sports Group aired nearly 50 hours of live coverage of The Open – the most ever for a major championship. Live Coverage of Sporting Event (Regional/Local): The big game! The award honors a live, single broadcast of a game or match by a Local network or station. With the NBA playoffs tied at two games apiece, a crucial Game 5 between the Celtics and the Hawks was played at Philips Arena. FOX Sports South’s multi-Emmy Award-winning production team stepped up to the occasion with images capturing the atmosphere of the arena, giving the TV viewer the best seat in the house. Live Stream Presentation: A single sporting event designed to be viewed online alone or in conjunction with a television network. The Super Bowl 50 live stream gave viewers access to CBS Sports’ pregame, halftime and postgame coverage, available for free for the first time on the CBS Sports app for Connected TV devices. Marketing Campaign (National): Recognizing the creative use of marketing platforms to promote a sports-themed series or event that generated higher awareness and viewership for the National broadcast. Tasked with creating awareness and driving cross platform consumption of March Madness, Turner Sports’ marketing campaign generated nearly 1.5 billion impressions with almost 180 million fans engaged across platforms. The National Championship game on April 4th delivered the second largest college basketball audience in cable television history. Marketing Campaign (Regional/Local): Recognizing the creative use of marketing platforms to promote a sports-themed series or event that generated higher awareness and viewership for the Regional/Local broadcast. Tasked with creating content for Blue Cross and Blue Shield of North Carolina that lifted brand awareness and favorability, Intersport used a one day production shoot to capture three surprise-and-delight moment for NASCAR fans, complete with Jimmie Johnson as a personal taxi driver. Marketing Initiative: What one new, untried tactic launched a thousand+ ships for an event, team or show? Utilizing first-to-market, high-impact partnerships to run campaigns that benefit the Fan Tactics, Turner Sports teamed up with DoubleClick to use the “Project Instant” prototype and programmatic video platform to help fans feel like they were at the NBA Tip Off games. Mobile App: Sure there’s an app for that, but who did it the best? 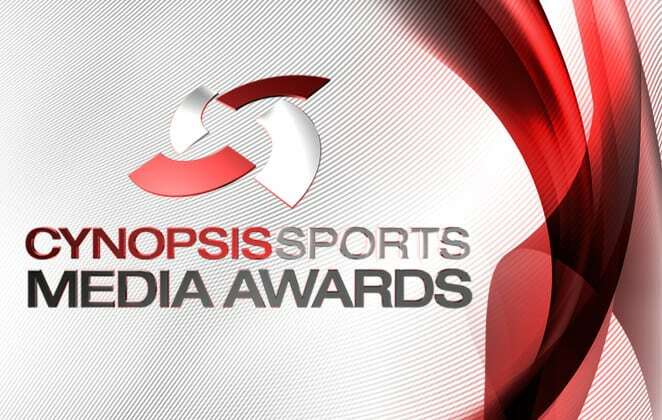 This category recognizes excellence in developing a mobile application produced by or for a media network, sports league or team that is designed to engage sports fans on the go or create a second screen experience. BTN2Go provides fans of the Big Ten Conference a mobile destination for live events, news, analysis, originals, behind-the-scenes content and past events. Previously a “game-day app” with 95% of viewership attributed to live games, it was revamped to convert subscribers to BTN Plus and turn the app into a Monday through Friday destination. Network Branding Campaign: Recognizing a long-term multiplatform promotional strategy designed to build an engaged fan base for a game or sports series. Spike is dedicated to serving fans by focusing on letting the fighters become the stars. The Fighters First campaign highlights combat sports legends and strong newcomers, including Tito Ortiz, Benson Henderson, King Mo, Liam McGeary, Joe Schilling and Phil Davis, as well as female combat sport athletes, including Denise Kielholtz, Keri Melendez and Anastasia Yankova. New Sports Show: This category honors the best-sports-themed series in any category launched in the US Between Jan 1, 2016 – Jan 1, 2017. Wiz Got Next features short-form segments packed with info about that night’s game – key dynamics, trends, match-ups, stats, memes and more — all packaged into a viewing experience that can be consumed in one shot or distributed piece-by-piece socially. Spotlighting restaurants in Big Ten campus towns that fit a certain theme, Campus Eats became a BTN favorite. In addition to each 30-minute episode, single restaurant visits were edited separately to air when games ran short or long. Over the top (OTT) Content Service: Recognizing the app/service with a proven ability to delivery of sports’ video, audio and other media content over the web without a multiple system operator being involved in the control or distribution of the content. The NFL educated fans about its Game Pass service through a campaign that combined humor and information, with fun spots showing how Game Pass could improve their football experience. Overall Social Media Excellence: The best campaign utilizing social media platforms that brought remarkable viral attention and creativity to a team, sports or sports-themes series. NASCAR set the tone for the 2016 season with a massive social promotion. It organized the sport’s first-ever Twitter fan race; leveraged a new partnership with Snapchat to introduce NASCAR and the race-day experience to younger audiences; and maximized the reach of key NASCAR moments using the new Facebook Live. Partnership with an Athlete: Honorees in the category would have maximized an alliance with an athlete to him/her synonymous with the brand and spike sales/tune-in as a result. With the help of Odell Beckham Jr. of the New York Giants, Dunkin’ Donuts created a campaign to let New Yorkers know that their Cold Brew Coffee had arrived in stores. Odell drove the style and tone of the jingle, The Art of the Craft, as Cold Brew Coffee took center stage in the form of a music video and documentary. Gatorade – For the Love of Sports” campaign w/Paul George, Elena Delle Donne, Usain Bolt, Lionel Messi, Serena Williams, and April Ross. Pro-Social Campaign: A great use for a great cause. This category recognizes the importance of an on-air or off-air campaign leveraging sports fans to benefit a pro-social initiative. As the NBA prepared to tip off its 2016-17 season, Turner Sports used its position to honor and amplify support for iconic sideline reporter, Craig Sager, who was battling leukemia, partnering with Twitter to create a custom emoji featuring a flashy suit and a SagerStrong filter for Snapchat. Production Innovation: You’ve upgraded the viewing experience and audiences can now experience the game like never before! This category honors the new productions elements that transformed the telecast, from graphics to data to cameras and more. The premier international drone racing circuit for elite pilots, DRL has transformed the exciting but difficult-to-watch hobby for drone enthusiasts into the sport of the future. Radio Program: Music to our ears. Best regularly scheduled local or national sports series that was broadcast through a local or national radio platform. Boomer Esiason and Craig Carton’s morning show finished first in the prime Males 25-54 demographic in the Fall 2016 Nielson survey for the New York market and continues to gain a national following. RSN of the Year: Which regional sports network stepped up its game and delivered knockout productions, terrific analysis and audience growth to match? The home of the St. Louis Cardinals, St. Louis Blues, Kansas City Royals and Indiana Pacers, FOX Sports Midwest once again ranked as the highest-rated regional sports network in the country, and added live streaming of MLB and NHL games in-market in 2016. Seasonal Coverage (National): From the opening match to the national championship, this category honors national networks that have dedicated extensive resources into covering every kick, pass, throw, hit and/or maneuver from athletes at a single league throughout a single season. To expand the audience for Major League Soccer and deliver a premier on-air experience, Univision Deportes applied more cameras and paths that were fibered back to the control room at its Miami headquarters, delivering a truly live broadcast. Seasonal Coverage (Regional): From the opening match to the national championship, this category honors regional networks and stations that showcase programming dedicated to the local team throughout a single season. The official television home of the New York Mets, SNY enjoyed a historic 2016 becoming the most-watched local broadcast in Major League Baseball. The network provides viewers with exclusive year-round coverage of the team, featuring live games and more than 400 hours of originally produced Mets programming. Sports Blog: The best blog that covers news and updates about teams, leagues, players and the sports industry in general. A global multiplatform brand dedicated to engaging and inspiring women through sports, espnW.com offers total access to female athletes and the sports they play. It takes fans inside the biggest events and captures the biggest trends in sports lifestyle, providing a unique point of view on the sports stories that matter most to women and highlights the crossroads of sports and culture. Spot (30 Seconds): An outstanding single 30 second video-based spot used to market or promote a specific sports program or event. The “Welcome Back” campaign, promoting the return of James Brown, used cinematic storytelling, props and iconic music to get the audience excited again about a familiar football experience. FOX Sports South – Let’s Go! A promo campaign combining the sights and sounds of the games with the streaming app on which to watch them came together as something so catchy that you couldn’t get it out of your head. Spot (Over 30 Seconds): An outstanding single 30+ seconds video-based spot used to market or promote a specific sports program or event. The “This Is Why We Play” NBA Draft showed the personal journeys of the league’s new crop of players , including supporters who stood by them through their ups and downs. Studio Show: Best Television Series: An outstanding regularly scheduled program that aired in 2016 with eight or more episodes that specifically revolved around sports. Unrehearsed and largely unscripted, MLB Tonight, the flagship studio show of MLB Network, averages more than seven hours of live programming each night during the season, providing baseball fans with comprehensive coverage of the game on a nightly basis, with news, live look-ins at games in progress, and analysis. Talk Show: What program was able to break down a game or a signing, debate a personnel move with fellow analysts and keep audiences riveted along the way? 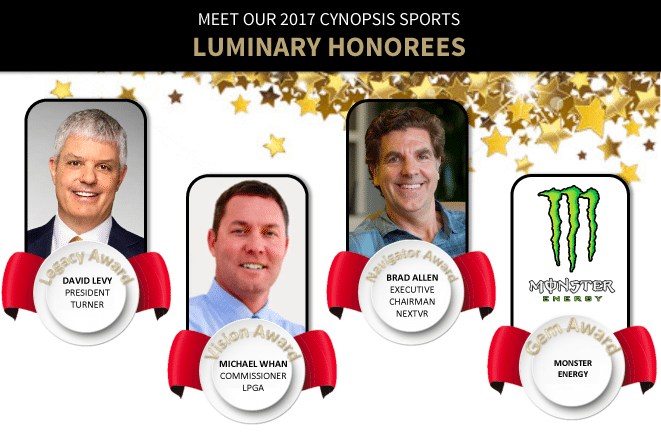 This award recognizes excellence in a regularly scheduled series that is primarily interview-based and/or in a roundtable format discussing the state of a sport or sports. David Feherty has made a name for himself not only through his show, but as one of the most irrepressible personalities calling golf over the past two decades. Tune-In Promotion: Best use of an overall promotional campaign designed to drive viewers to a specific series or televised event. TBS celebrated its initial airing of the NCAA Men’s Basketball Championship with a new spin on a classic song, One Shining Moment, which has been the anthem of March Madness’ ultimate game. The new spot put Charles Barkley in the spotlight and resulted in lots of laughs and attention when it debuted on Super Bowl Sunday and throughout the tournament. Use of Facebook: Sure fans liked your Facebook campaign, but will the judges? This category honors innovation and efficiency in driving and engaging sports fans on your Facebook page. This category is for entries directly representing or independently covering a sports network, show, team or league. FOX Sports and Dr Pepper created Breaking The Huddle, a weekly College Football aiming to engage fans and provide impactful content, with guests ranging from writers Stu Mandel and Bruce Feldman to fellow on-air contributor and former Heisman trophy winner Matt Leinart. Univision sought to become the ultimate destination for all things Copa America Centenario by providing fans with a fully interactive environment, complete with exclusive access to stadiums, players, teams and coaches. Through their multi-platform delivery, they were able to permeate the lives of fans, stay top-of-mind during the tournament, and become a resource for both the avid and casual soccer fan. Use of Instagram: Whether you grow your photo/video feed organically or utilize sponsored posts, this category honors innovation in engaging sports fans with your Instagram account. WWE’s Social Team delivers the conflicts and controversies to a dedicated global fan base that expects fresh, unique content across digital media platforms that operate 24/7. Use of Integrated Sponsorship for Broadcast: Highlighting a particularly effective way to incorporate a sponsor into an on-air game, campaign or series. Title sponsor of ESPN’s College GameDay for 14 years, The Home Depot has been consistently improving fan experiences, driving engagement beyond the College GameDay broadcast and deepening brand by creating branded fan zones at 17 College GameDay locations. Use of On-Air Design: Title sequences, bumpers, etc. The best work in the business will be honored for its stunning visual displays. Troika re-imagined the CBS Sports brand through a clean, more modernized look, designing a graphic foundation with a color palette that allowed still photos and video moments of the teams, players, and action to stand out front and center. Use of Snapchat: This category honors innovation in engaging sports fans with your Snapchat account and/or discover channel. MLB Snapchat Day gave Snapcatters an unprecedented look into life across MLB Spring Training ballparks and access to the players during games. For the first time ever, players were permitted to utilize smartphones, including the official SnapBat, in dugouts and bullpens pregame and during live games. Scout Sports and Entertainment – We Want Tacos! Use of Twitter: Leveraging this ubiquitous social media feed 140 characters at a time, your company, media network, sports league or team is a master at Twitter communications. Eager to connect its passionate fan base with its new General Manager, John “Coppy” Coppolella, the Atlanta Braves provided the opportunity for fans to talk directly to the executive during six Q&A sessions , where he answered fan questions submitted via the hashtag #AskCoppy. Virtual Reality: Immersed in a game or sports experience, viewers were taken to new worlds from inside the stadium to ringside to mountaintops through this platform. Here are the best. NextVR became the first official live virtual reality partner of the NBA, tasked with engaging key audiences and providing fans with the ability to experience NBA games throughout the 2016-17 season through the NextVR platform. A first of its kind, multi-faceted VR strategy delivered Jets fans to the stadium, event activations, community events and across social channels. Webisode Series: An online-only program with five or more episodes revolving around sports. The 12-part digital documentary chronicling Davis Love III’s journey as Ryder Cup Captain shadowed Love, while Lagardère Sports and the PGA facilitated access for an in-depth look at the Hazeltine National Golf Club. A friendly competition between Pac-12 student sections gave fans something to rally behind and celebrate, and every university engaged in a big way. Working with school athletic and sports specific team social leads, it drove direct fan engagement and expanded Pac 12 Sports Report brand off television. Website: What online site was the best at raising TV viewing numbers for a series or sporting event? The Players’ Tribune changed the media landscape, transforming how athletes share news and stories, providing athletes with a trusted platform to express themselves and go in depth on topics and ideas that transcend sports and culture. Digital Executive: Utilizing the final frontier of media platforms, whose tactics changed the way viewers absorb sports media on digital platforms and raised the bar for the future use of technology? Rick Cordella is responsible for all aspects of NBC Sports Group Digital, which celebrated its best year in 2016, highlighted by 15,000 hours of streaming coverage of over 10,000 events, including the 2016 Rio Olympic Games. Marketing Executive: The person’s campaigns would have made tongues wag both inside and outside the sports industry, with a consistent message that brought in the fans, drove audiences and kept them coming back for more. Michelle Wilson is focused on expanding the reach and growing subscribers for the WWE Network, and helped drive millions of sponsorship dollars and advertisement revenue for WWE and its network partners.